The Setting: The sea of Galilee. 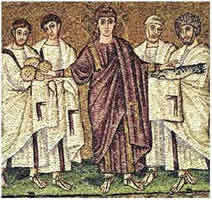 Characters: Jesus and the twelve disciples. Signs of Objects: The boat, loaves, pharisees, Herod, baskets, 4000, and 5000.